Its understood that women with good smell or body odor are always given preference in social groups. Do not make yourself ignored due to your bad body odor. Try Galaxy Plus G 8 body spray that offers you a refresh fragrance throughout the day. It’s not required to use too much as it’s long lasting and strong smelling. It makes you feel from low spirits to high spirits. And when the bottle opens and you smell the fragrance, you will enjoy that feeling being confident, charming and elegant. It leaves the fragrance on the body for a long time and restrains the growth of bacteria. 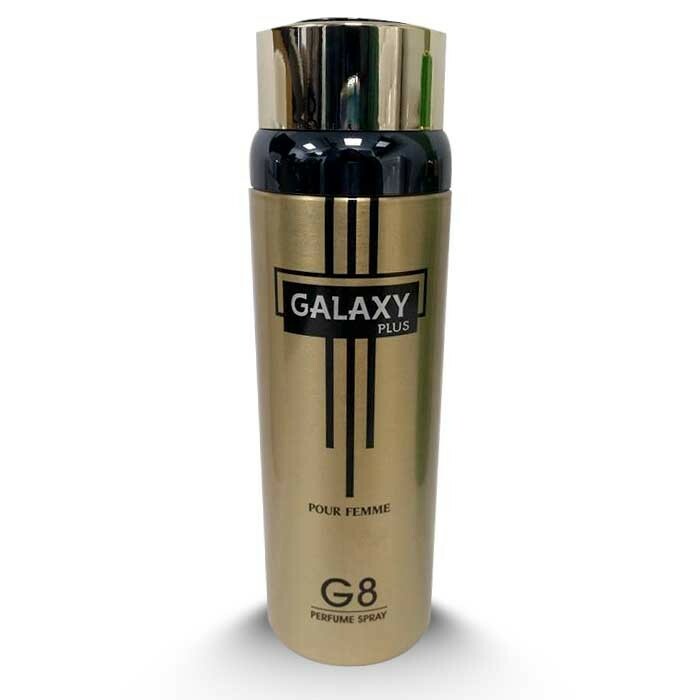 Decus.pk offers you Galaxy Plus G 8 200 ml Body Spray at discounted price along with decent discount. So go and grab now.